When you first learn of a friend or family member’s diagnosis, it’s natural to wonder how to help someone with cancer. As we learned following my husband’s brain cancer diagnosis in July 2012, friends and family members genuinely do want to help but sometimes don’t know where to start. Dealing with cancer is a lonely battle, and one that doesn’t just affect the person who has it; the disease affects entire families. In the two years since we began our cancer journey, we’ve met many families traveling this same terrifying path. We’ve prayed with them, anxiously waited through long surgeries with them, and exchanged stories about our daily lives and what’s become the “new normal” for us all. So not long ago, I told some of the people in my caregiver’s support group that I was putting together a blog entry about How to Help Someone with Cancer, and I asked for their suggestions. I also surveyed Facebook friends who have had or are dealing with cancer or caregiving, too. What follows are the most common suggestions from cancer patients and their families about the kind of help they need most from others, along with the things they wish people knew to avoid. When you first hear the news, it can be quite a shock. Your first instinct will probably be to offer kind words and sympathy, but some things can only make matters worse. Don’t tell them to stop worrying or that they’ll be fine. They can’t help but worry and being told not to do it dismisses their feelings. Don’t tell them how strong or brave they’re being. Praising their strength often leaves the person feeling pressured to continue putting on a brave face, and then they don’t feel comfortable talking about their bad days or feelings of hopelessness. Don’t ask how long they have left to live. From the moment they hear the news, every ounce of a cancer patient’s energy goes to beating the odds. Don’t make them dwell on what the statistics say. No one knows the future. Don’t share stories about someone else’s cancer. 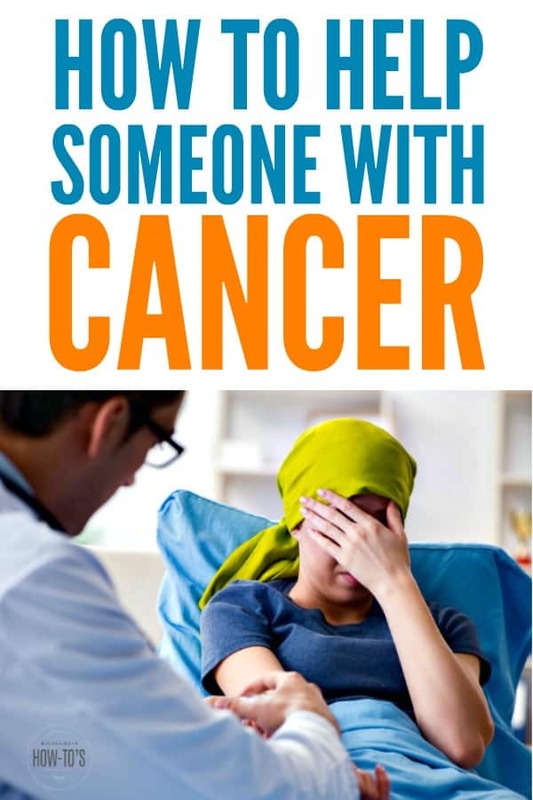 You may think you’re supportive, but the person facing a cancer diagnosis needs to focus on their fight, not find themselves suddenly needing to comfort you. Don’t offer unsolicited advice or research. You’d be amazed at how quickly cancer patients and their caregivers become educated on available treatments, including experimental ones. Chances are your feelings will get hurt when they dismiss your idea that involves an altogether different form of cancer or which they believe potentially harmful. Don’t say “call me if you need anything.” For many people, it’s embarrassing to ask for help. For others, there’s a genuine fear they’ll reach out to ask for something and get turned down. Be proactive and come up with things you are willing and able to do to help them. Saying the right thing lets your friend or loved one know you’re an ally, someone with whom they can continue to be themselves and who’ll also be a source of comfort. I’m here for you if you need to talk. Many times, the person with cancer has stuff they’re not ready to share with their spouse or kids. Talking with non-family members can help them work through their feelings and prepare for frightening, but vital, conversations they’ll need to have. What treatments do you have planned? Talking about future procedures and medications can help reduce anxiety by making it more matter-of-fact. But be sensitive: if they change the topic, let it go. I’m praying for you (or thinking of you). Even cancer patients who aren’t religious draw hope and comfort from knowing others have them in mind. I don’t even know what to say. It’s okay if you’re overwhelmed by the news — they were, too. It’s better acknowledging your loss for words than forcing cheerfulness or, worse, avoiding the person altogether because you feel awkward. Though some people with cancer try to carry on as if nothing has changed, many find themselves needing help from friends and loved ones. Cancer treatment is brutal and can leave even the strongest of people unable to do things for themselves. Here’s how you can help. Set a reminder to call every week. The longer a cancer battle goes on, the more isolated cancer patients and their families feel. This is particularly true if the person with cancer has to stop working and suddenly loses contact with coworkers and friends. Make flexible plans for getting together. How a patient feels can change in a matter of moments. Concert tickets or dinner reservations become a burden, rather than an enjoyable experience when they find themselves nauseous or physically exhausted just as they’re expected to go somewhere and have fun. Respect their compromised immune systems. Cancer ravages a body to begin with, then radiation and chemotherapy continue that work. Don’t visit if you or a family member has recently been sick. Also, never visit a person with cancer shortly after receiving a live vaccine; they might catch what you were just immunized against. Ask permission before visiting or planning something, and don’t take it personally if it’s not a good time. Often, the family is as worn out as the person with cancer and lacks the energy to entertain guests. Sure, you might not expect anything, but that doesn’t mean the spouse or kids feel like they can ignore you. Ask before coming over, and if that day isn’t a good time be sure to try again. Don’t let cancer change your friendship. It’s entirely okay to talk about your day, to crack jokes, to talk about your future plans. These things help everyone remember there is life outside of cancer. Drop off a meal you’ve made, preferably one they can freeze. If you want to cook for someone with cancer, it’s a good idea to ask about taste changes and dietary restrictions. Chemo can make foods taste vile, while other things might trigger nausea. Some people with cancer eliminate all artificial ingredients, preservatives, sugar, and refined carbs. Put meals they can freeze and cook on busy days in a disposable container, so they don’t have to worry about returning your dish. Give them gift cards for gas or groceries. The financial toll of cancer is staggering, even for those with good health insurance. Gift cards for the stores where they shop or local gas stations can help a family while giving them the freedom to decide when to use them. Or shop for them. Getting to the store is often a tactical nightmare for those with cancer and those who live with them. Most cancer patients can tolerate fresh fruits, bland proteins like chicken and eggs, whole grains, and dried beans. Things like toilet paper, bathroom wipes, and dish soap are always useful, too. For those who are experiencing sensitivities due to chemo, consider asking their caregiver for a list. Check in through emails or text messages between calls. A kind word now and then is appreciated. Add a “no need to respond” and you will brighten their day without creating a burden. Do their yard work. Mow the lawn, rake the leaves, shovel snowy driveways and sidewalks — it’s difficult to do these things when you’re exhausted from fighting cancer or caring for someone who is. Bonus: most of these things don’t even require a phone call ahead of time. Help with household chores. If the person is willing to accept your help, schedule a time when you can show up to do laundry, vacuuming, or mopping. If you’re good at fixing things, offer to perform needed repairs. Or, consider hiring someone to do it. Having a stranger perform such tasks may be less embarrassing than having a friend see how horrifying bathrooms can become when someone is on chemo. Walk the dog. Most people with cancer find their pets comforting, but physical exhaustion may keep them from enjoying long walks and play times. Taking Fido for a walk not only eases that guilt but also helps wear out the critter, so he doesn’t get destructive. Offer rides to and from treatment. Many times the caregiver does the driving to and from chemo or radiation appointments, sometimes on a daily basis. Offering transportation now and then is an excellent chance for you to spend time with the person who has cancer, and it gives the caregiver a much-needed break. Remember the children. Kids need a break from the emotional reality of dealing with their parent’s cancer, and the adults could often use a break from the kids, too. Offer to take them to a movie or out for pizza. Watching the kids during surgeries or medical treatments is always appreciated, also. Send surprises. Funny greeting cards are a great way to let someone know you’re thinking of them. Gift balloons always brighten someone’s day. Silk flowers and plants are lovely gifts that don’t pose a risk of infection for those with severe immune system issues. So is a book of crossword puzzles, a bestseller (big print is best since chemo can affect vision), a funny DVD, or even a video or board game. Give hats and scarves to those dealing with hair loss. Balding is a side-effect of radiation and many forms of chemo, and it’s not just a cosmetic one. Cancer patients tend to burn more easily than others, making skin cancer a common problem down the road. Hats and scarves also help people with cancer stay warm, something their bodies may struggle with even on sultry days. Be sure the item is made from washable, extremely soft material since cancer skin is sensitive. Help them make memories. Many cancer patients start writing their “Bucket List” as soon as they receive their diagnosis. Although it may seem awkward to bring it up, if your friend mentions having a Bucket List, find out what’s on it and see if you can make any of those things happen. Help them celebrate. Holidays are very difficult for people with cancer and their families, yet it’s vital that they create happy memories together. Try to arrange birthday cakes if appropriate. Set up a time to come help put up (and take down) holiday decorations. If their immune system is healthy enough, consider taking them shopping, or offer to do the gift shopping for those who can’t be in crowded stores. Care for the Caregiver, too. 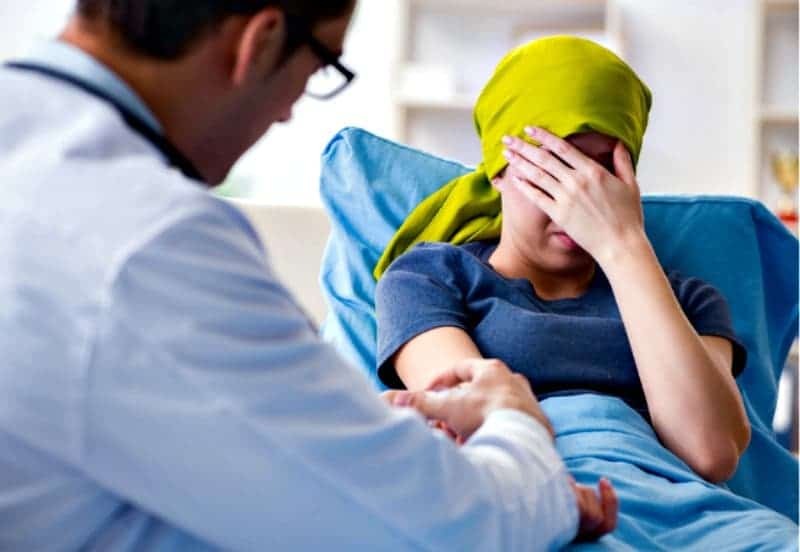 Many times the spouse of the person with cancer is so busy scheduling appointments, preparing meals, cleaning, and taking care of the children that he or she doesn’t have downtime, much less time to go run personal errands. Set up a time to spend with the cancer patient so the caregiver can get out of the house or even just nap. It’s not unheard of for cancer caregivers to be under so much stress that they become sick, too. Don’t dismiss the caregiver. This came up in EVERY conversation I had with someone married to a person with cancer. Many times, caregivers wonder if anyone recognizes their role and how much it’s costing them emotionally and physically. They are so busy providing care that they don’t have time to process their own emotions. Having cancer doesn’t turn a person into a saint, but being thrust into the role of providing 24/7/365 care for someone who has it can. Don’t tell the caregiver to make time for him or herself. Doctor appointments, treatment appointments, cooking, chauffeuring, dealing with insurance companies, paying bills, caring for children, doing housework, and doling out medications can take up almost every waking hour. You can help them find time by using any of the above suggestions about how to help someone with cancer. Having a strong support network following the emotionally devastating, often prolonged trauma of watching your spouse or parent die from cancer can make the difference between the family healing or succumbing to deep, devastating depression. Don’t disappear once they win the battle. Few people are happier than cancer patients hearing that they’re in remission, but that joy can be short-lived if their friends disappear once they hear the good news. Give them some time to rest and recover, then go back to the friendship you had. And don’t forget the family if they’ve lost. Someone who loses their spouse to cancer doesn’t just lose their loved one — they often lose their support system when they need it the most. Your companionship and help over the next couple of weeks can make all the difference in how they handle their grief. Know that Caregivers can get PTSD: It is impossible to describe the emotional trauma of watching your spouse or loved one fight cancer. That pain is even more devastating if they do not survive. It’s not uncommon for caregivers to experience Post-Traumatic Stress Disorder (PTSD). Try remembering that if you see the individual responding to their loss in ways that seem out of character or which you don’t understand. Remember, like caregivers, you’re only one person. Don’t think anyone is expecting you do to everything for them or even to make it all better. There will be times when you just cannot help, and it’s perfectly okay to say so. But when you do want to help, and you’ve got the time and energy, these ideas about how to help people with cancer are a great place to start. I have left a reply in one of your comment sections above. I believe it was a April 2014 one. Thank you so much for this list you gave. It is so very good and needs to be put out there. Caregivers are an important part of this cancer and it is a 24/7 job. I retired from my nursing job to find out this is even worse then being there and caring for 22 Alzheimer’s residents. More demanding, less time to collect my own thoughts and no family help even from a daughter whom lives with me. Just saying can I make supper for you and dad ,instead it’s whT fro supper when she gets home from work. She goes with friends, I can’t. I can’t even be on here and I’m ridiculed by everyone that I’m ignoring them but I just need some space for me to talk to my friends seeing they don’t want to come here. Neighbors talk on here ask how he is but don’t come by. One keeps my car up to par as we go very day back and forth and he brought us a dish for supper theoother night which was so nice and helpful. Trying to do it all is impossible! Thank you again. I have stage 1v triple negative breast cancer to the bones and I will tell you that this is one of the best lists I’ve read. Every idea stated was right on target. Thank you from one of us fighting the battle. Thank you for the kind praise, Suzi. I will keep you in my thoughts as you fight the good fight! Excellent post — difficult subject. Thank you for sharing from your heart — I know there are many, many people who can benefit from your acquired wisdom. I don’t know if you guys used CaringBridge, but it is an excellent tool for communication to and from patients and their families. I’ve had several patients and some personal friends who have found it very useful for letting their extended friends & family know whats happening without being tied to a phone or answering machine with so much else going on. You’re still on my prayer list, girl — I know it’s been a long hard road for you. Be well and keep up the great work! Thank you, Marianne. We didn’t use CaringBridge but I’ve heard wonderful things about them. For us, a simple group email worked once everyone knew that the emails were just giving updates — not initiating conversations. All your advice in all the other areas of cleaning the home, making things, getting rid of problem areas in the home, and your books, all of which I have on Kindle have been amazingly informative and helpful. But this particular advice that you have given has to be the most valuable of all. Thank you so much. Thank you, Gail. That’s the nicest thing anyone’s said to me in a while! That’s a really good list Kate, and your explanations are helpful.